A few posts back I did a review on the Borghese Fango Active Mud Mask (click). I discussed how great it made my skin look and how much I love it and how it keeps my face less greasy throughout the following days. The great thing about clay masks is that you don't have to use it solely as a face mask for your entire face, there are other ways to use your clay mask and today I want to discuss a few possibilities and share some tips with you! 1. Use it as a spot treatment. Putting a bit of clay mask on and around your spot for a spot treatment. While you're asleep the clay dries out and while drying out it dries out your spot as well. The spot probably won't be gone entirely, but it sure will be less huge than when applying nothing to it. It also acts as a barrier against bacteria thus making the spot worse. As I am writing this blog post, I have a spot on my upper lip covered with clay mask. 2. Give your skin a local boost. This is something I like, because, you know, I'm a pretty lazy person. When I'm reviewing a face mask, I always check how my pores look afterwards and especially after I apply foundation. I also check how fast my face gets greasy the following days and based on that I can decide if a mask is working out for my skin or not. Of course it also is important to give my skin overall a boost, but those two points are the main thing I'm looking at. If I think my pores start to look big and clogged again, but the rest of my face is fine, I sometimes only apply the mask on my face where I want my pores to be reduced when it's not face mask day. It gives my problem areas a boost until it's time to do a full face mask. 3. Don't let your clay mask get hard. Apparently a clay mask isn't supposed to get entirely dry. 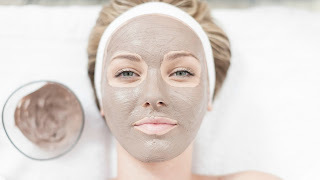 A clay mask has three phases, according to Sharon McGlincey (facialist and creator of MV Organic Skincare). First, the damp phase. 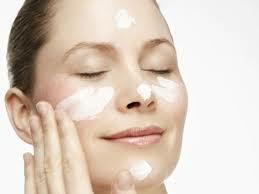 Your skin soaks up the beneficial minerals from the outside. Second, the start of the dry phase where your capillaries are exercised and your blood flow is stimulated as the mask cools and contracts. And third, there's the dry phase. In this phase the mask is drawing out moisture from the surface of your skin. You can imagine that it causes dehydration and irritation. If you're afraid you can't reach the time mark for your mask without it drying out completely, slap on a thicker layer. That's the reason why the packaging of face masks always tell you to put on a generous amount. 4. Cleanse your skin before applying your clay mask. To me, it sounds naturally, but to some it might not. When you cleanse your skin first, you'll achieve better results. It's because you removed all the dirt, oil and makeup from the surface of your skin, so the clay mask can do a better job on the surface of your skin. 5. Moisturize your skin afterwards before it's dry. 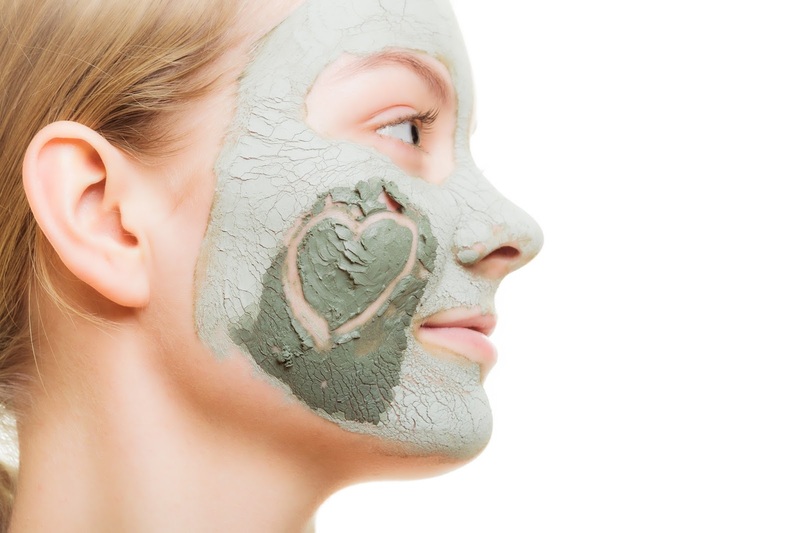 After removing your clay mask it's best to moisturize your skin while it's still damp. It works like toner: it helps to seal in added moisture! I hope this was helpful to you and have a nice day!